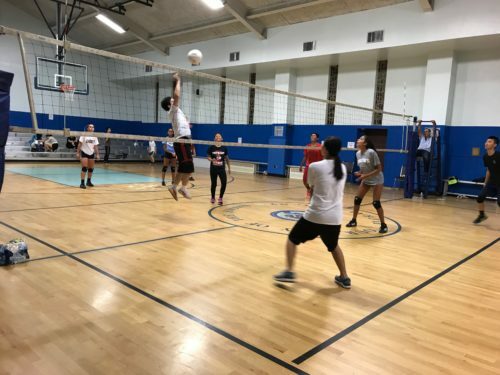 Summertime calls for a little recreational fun. 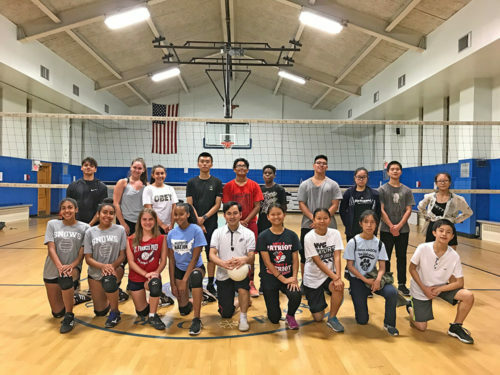 That’s why the youth groups from both St. John Vianney, Flushing, and Our Lady of the Snows, N. Floral Park, decided to play a friendly volleyball match at Our Lady of the Snows school gym Aug. 11. 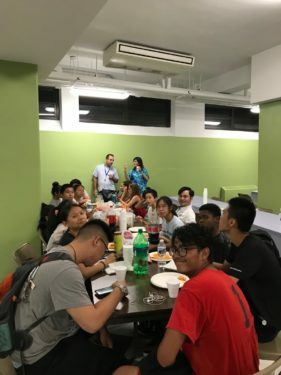 After the game, both youth groups enjoyed pizza in the newly painted church hall. 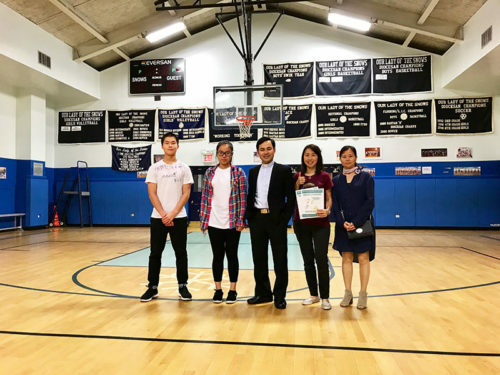 “They were thankful for this game that allowed them to have fun and get to know more young people,” said Father Hung, who helped with the event.